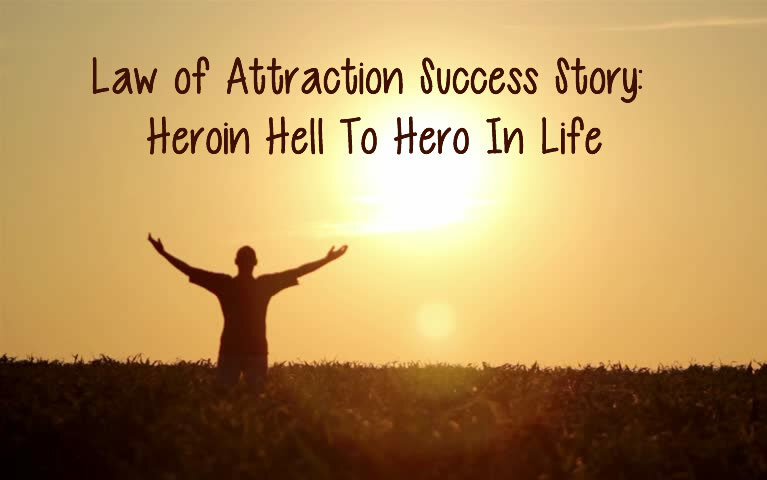 In today’s story the author narrates how he fought his drug addiction and got an amazing life for himself. My life growing up was fantastic, I had good friends, always had nice clothes and went to good schools. Football was big part of my life and girls were too. I had female attention from a very early age going into senior school. My senior years in school were great and I will always have fond memories of my adventures with my friends. I left school and was working in a warehouse earning little money but life was OK.. Then my parents split up and it was a shock to myself and my mother. My life took a turn for the worst and I, at the age of 18, became an heroin and crack cocaine addict. I was taking drugs every day and my life was getting out of control. I stole off my mother and she even gave me money to buy drugs because she could see the torment I was going through. My father came back and everything got worse. I stole from them and they kicked me out of the house. I was homeless, sleeping in the car, the shed, people’s sofas and then I would end up home again with my parents trying to help me, always. I went in rehabs but always ended up using again. I was in constant battles with my mind because I hated what I had become and I couldn’t get out of it. I put myself through hell and trying so hard to beat this horrible hell on earth life I was living. I used and stopped, then the same pattern always of trying to get clean. I did over one hundred and twenty ‘cold turkeys’ to get off heroin over 18 years of active addiction. I never stole through my addiction other than from my family although I did shoplift once and got caught and never did it again. I had never been to prison during my addiction which is unreal as most addicts wind up there. I knew that I was never meant to live that life and that I was better than this. About 8 years ago I was introduced to The Secret by an ex alcoholic who had been clean for 12 years so I gave it a go and was instantly attracted to it. I got myself a copy and I read and I read and I read and I asked for my life to change. I asked and visualised in my mind what I was asking for. I pictured myself clean from the addiction and with an amazing body. Now I am 7 years clean and I have a body which is amazing and I go the gym quite a lot. My life today is amazing and my family life too. The Secret gave me my life back and it continues to give me so much more. It taught me how to change how I thought and it saved my life. I would like to thank Rhonda for changing my life. Thank you so much, I love you and all the team. I tell people about this book and I have introduced so many people to it, it is my personal bible. Anyone who is suffering no longer needs to. Love life and love yourself. Thank you! About the Author: Hello my name is Paul. I’m now 42 from Liverpool England. I love music and football obviously. I’m from Liverpool, a fantastic and famous city which I’m so proud of. I come from a great family with terrific parents who always stood by me through my very tough times. My life has changed so much as you will find out in my story.